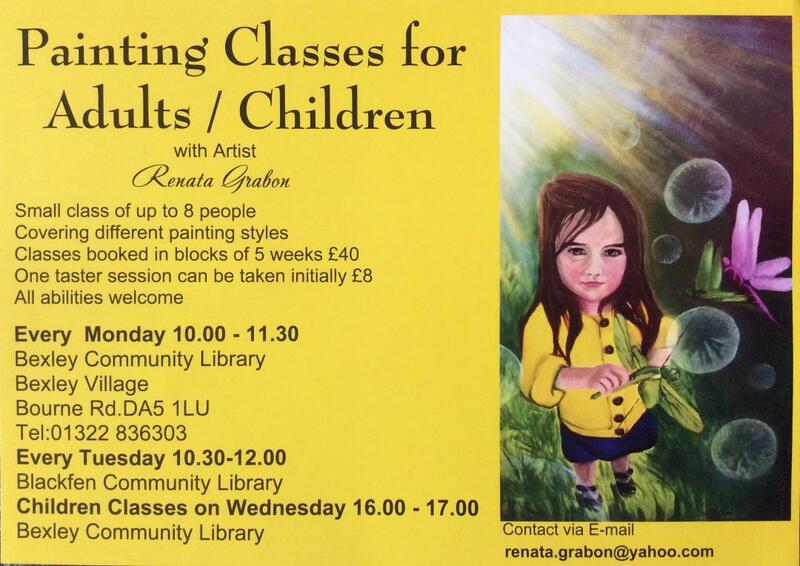 Local artist Renata Grabon is running painting classes for adults/children on Tuesday mornings 10.30-12.00 at Blackfen Community Library. Classes are small with no more than 8 students, and you can try a taster session for £8.00 to see how you get on – after that, it’s £40 for each block of 5 weeks. All abilities are welcome, so whether you want to dust off your easel or try painting for the very first time, you’ll be welcome at this friendly class. To find out more, please contact Renata at renata.grabon@yahoo.com or pop on on a Tuesday morning.